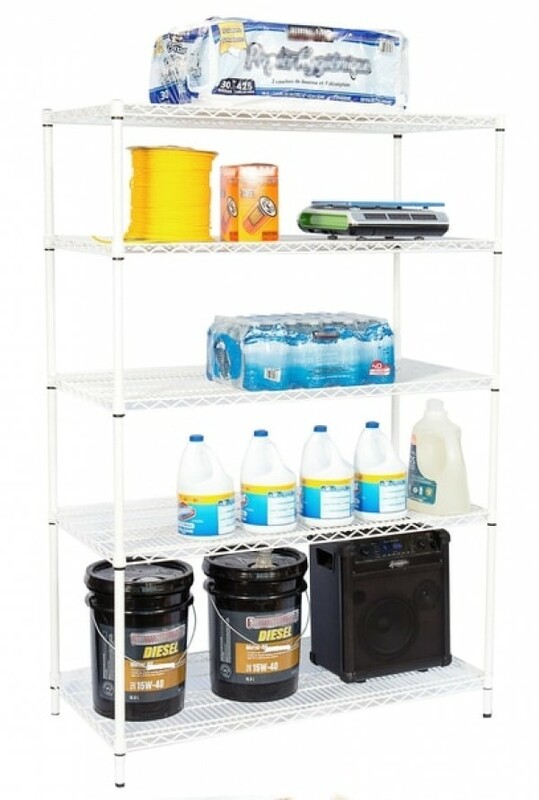 Wire Shelving - W 48" x D 18" x H 71"
Wire Shelving - W 48" x D 24" x H 71"
BRAND NEW commercial quality wire shelving units made from durable DUAL SEAL wire and protected by a high quality white powder-coat paint finish. These are NOT the cheap & thin wire shelves you find at Big Box stores. 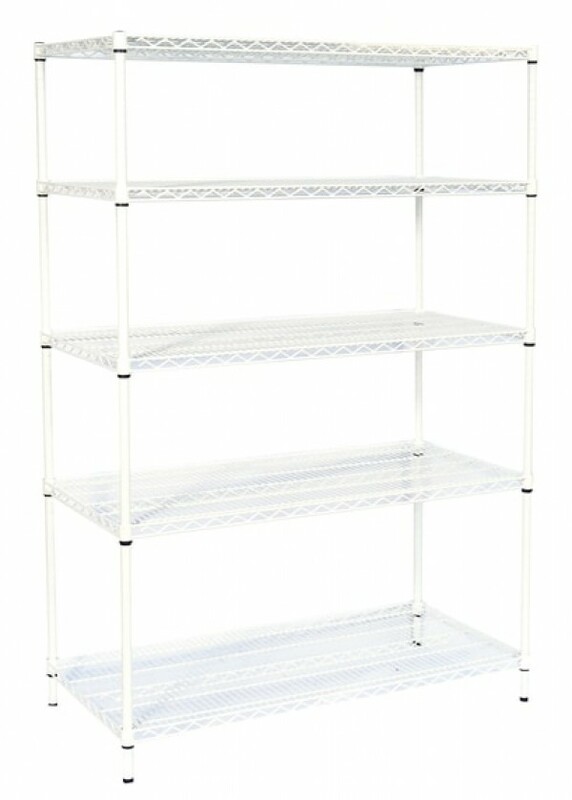 These are high quality commercial grade shelves for fantastic prices. Ideal for home/pantry storage, offices, garages, and much more. •	HIGH QUALITY wire and POWDERCOAT paint finish are rust resistant and able to withstand harsh environments, including high humidity and refrigeration. •	Shelves can be FREELY ADJUSTED to any height specific to your needs. 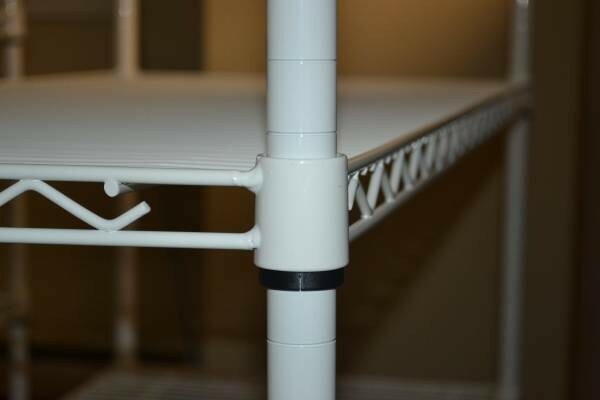 •	STRONG and DURABLE for wire shelves – each shelf level able to hold a capacity of 250 lbs. •	No nuts, bolts, or screws required – VERY SIMPLE SETUP as the shelves use their own weight to lock into place. •	ADJUSTABLE feet to allow for uneven surfaces. 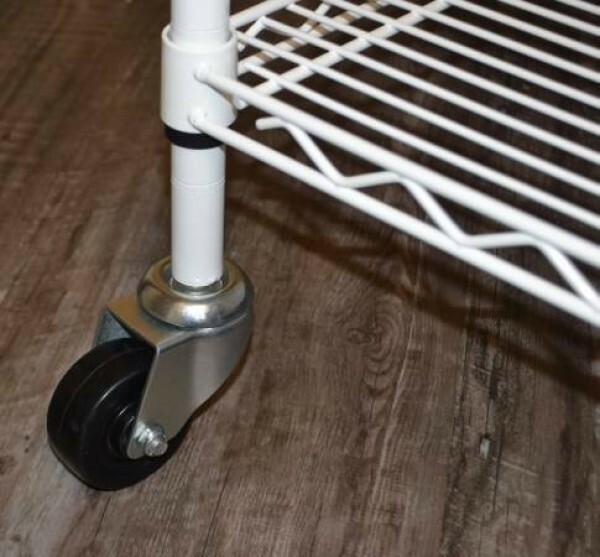 •	Heavy duty castor wheels also available separately if you need mobility in your shelving.